Water purification system or EDI ias an alternative that meets the need to purify water and to save environment. 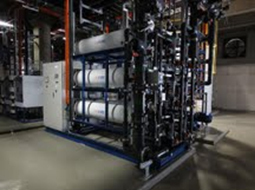 EDI stands for electro De-ionisation which is the process that produces purified water by utilizing De-ionization system together with electron without the inconvenience use of alkaline-acid bases. 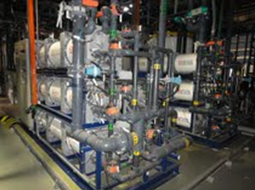 There are several water purification methods are available at the moment but the most popular method is the Ion Exchange which utilizes the Reverse Osmosis to reduce ionic load before enter the Ion Exchange Process. The EDI is the new alternative in purifying water. • Easy to operate and maintain, requires practically no maintenance.